When you can detect the fragrance of grilled meat in the air and make out the sound of distant cheers, it must be game day and that means tailgating, America’s answer to sports-linked, al fresco dining. If you have a food cart, booth, stall or trailer, sports enthusiasts will come – hungry – to the tune of an estimated $20 billion a year in tailgating-related revenue. 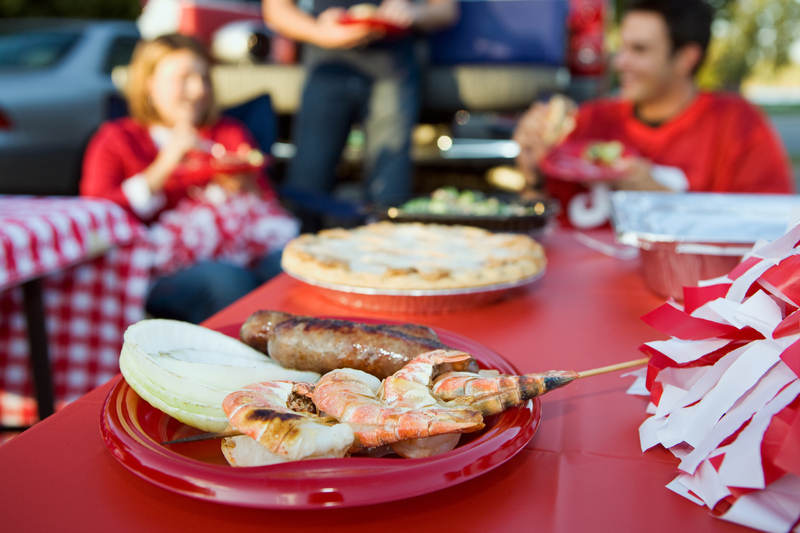 A survey conducted by McCormick & Company, Inc. found that 41 percent of Americans plan to tailgate during 2014. Almost half of the respondents to that poll were also interested in exploring updated versions of traditional favorites such as burgers, pork ribs, salads and beans. For many tailgating pros, discovering new ways to interpret grilled and picnic classics may hold the key to heaping paper plates and happy diners in the future. Whatever happens to be on the menu, food safety is the first order of the day. Cross-contamination can be a risk when working in a mobile environment with limited space. Review the following suggestions to help your staff avoid problems. If raw meat, seafood or poultry will be prepared on-site, store these items away from produce, baked goods and other ready-to-eat ingredients. Food prep pans like the Cambro Camwear® pans are a good option for safe temporary storage. Maintain a rigorous hand washing policy, and make sure hot water, soap and disposable towels are available for use before and after handling raw and cooked foods. Use separate cutting boards and utensils for raw meats, seafood, poultry and raw eggs. Wash prep tools in hot, soapy water after use. Cook foods to a safe internal temperature. This means 145 degrees for beef, pork, veal and lamb; 165 degrees for poultry; and 160 degrees for ground meats. Verify safe cooking and storage temperatures with an instant-read thermometer. Keep hot and cold foods at room temperature for no more than two hours in normal weather and for no longer than one hour when temperatures reach or exceed 90 degrees. Avoid partially cooking meats ahead of time because this can create a favorable environment for bacterial growth. 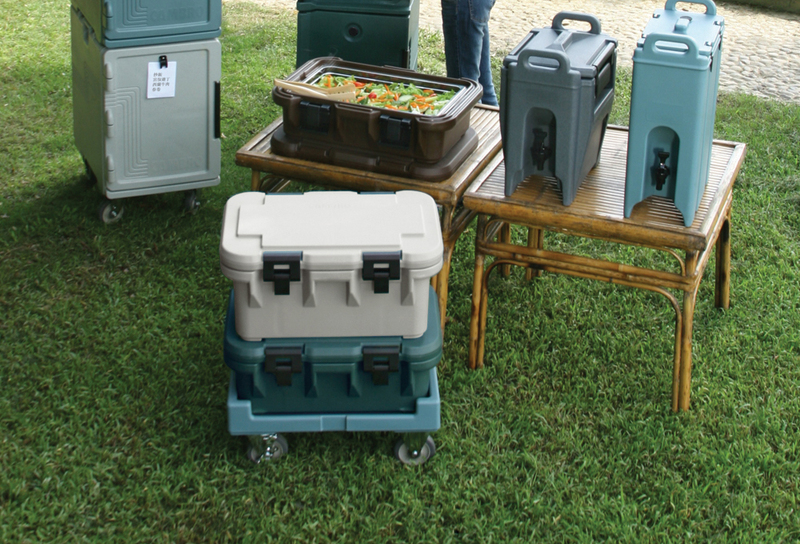 Use insulated transport containers like Cambro Ultra Pan Carriers® S-Series to move foods safely from one location to another. Maintain hot foods at 140 degrees or higher. Maintain refrigerated foods at or below 40 degrees with insulated pans like the Cambro ColdFest® pans, on ice or in refrigerated storage. When in doubt, discard suspect foods and sanitize all appropriate utensils and surfaces. Following these recommendations can help you place food safety at the top of the menu and make your team a big winner on game day.